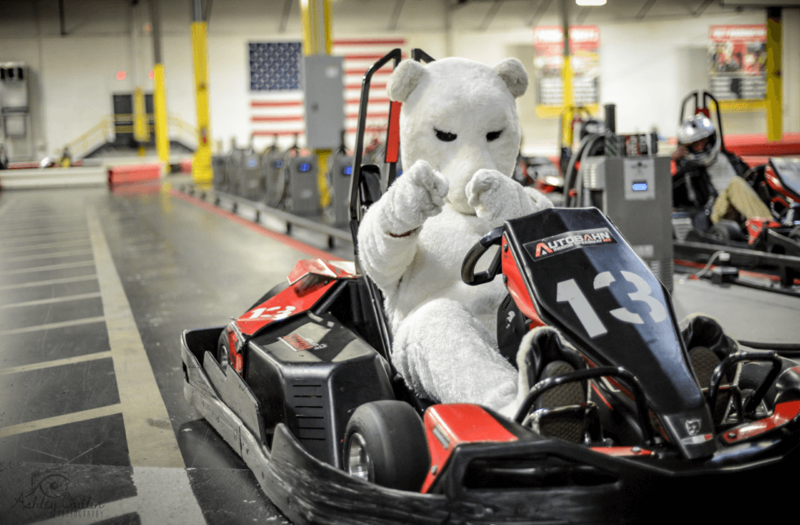 Autobahn Indoor Speedway provides a premier indoor go-kart racing experience to hundreds of thousands of racers every year. From professional racers to novices out to try something new, we pride ourselves on offering a fast-paced thrill that is approachable for all. Our philosophy is simple: NO SPEED LIMIT! Whether it’s your first time or you’re a regular racing pro, we make sure everyone to be able to experience the freedom and the exhilaration of driving a high performance vehicle in a safe, comfortable and fun environment. Just like the fastest, most advanced cars perform flawlessly on the Autobahn in Germany, we knew that we needed to equip Autobahn Indoor Speedway with the best of the best. In order to make that possible, we searched the world for the absolute best karts, the safest barriers, highly-trained and professional staff and the most advanced timing system – all in order to provide you will the ultimate experience. The result is a state-of-the-art indoor kart racing experience. A COMPLETELY UNIQUE PRO-KARTING EXPERIENCE. In addition to creating the ultimate racing experience, we also wanted to provide a unique venue for company events, group parties and meetings. A place that will get people’s hearts pumping and where bonds can be strengthened. A one of a kind facility where lessons can be learned, and teams tested and strengthened. At Autobahn Indoor Speedway your attendees will stay interested, focused and enthused! Whether you want an elaborate/formal or no a fuss/casual event, our Event Sales Managers will work with you to create the perfect event. We will assist you in organizing the racing format to best fit your group’s size, enthusiasm and racing abilities. We invite you to experience the thrill of high-speed electric go-karts for yourself! Whether you’re visiting for a company event, with a group of friends or family, or you just want to Arrive & Drive, we look forward to your visit.